So much for Big not being relevant anymore. Which is a good thing. Go Big! Big is an okay character. I think the biggest (lol) reason why he wasn’t liked was because of his gameplay in SA1. I think he’s fine as a tertiary character. Someone who is there for the sake of plot or even character development. I dunno… I think the fact he appeared to be literally mentally (no offence to anyone with disabilities but for lack of a better word) retarded and had a completely pointless side story that didn’t even matter if it never existed play a big role in the hate. Because disabled implies he has a diagnosed condition or is incapable of doing certain things, which he does not and is not, aside from thinking. “retarded”, however, can also mean he behaves in this way without it being the case. I apologise for any offence caused, it was not intended as I already stated. Why doesn’t Big come with a miniature Froggy plushie? They missed a trick there. The Espio plush is well done indeed. 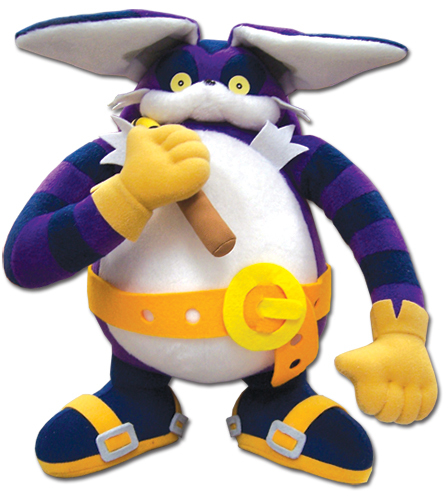 Sonic the Fighters had a plush line? That must be mad difficult to find. Other than that, this is pretty nice. Holy mother of Jesus christ! This company seems to excel beyond anything I’ve seen in a long while. I’ve seem some pretty damn impressive sonic plush however they are few in numbers compared to the ones from joypolis who are the top tier in craftsmanship. But After seeing what this company pumps out, I think they match it and honestly….are good at it. I’m so glad the plush line is still going! I will anxiously await a Chip plush, come on he’s the best candidate for a plush toy! Good question, I’m wondering the same thing for the same reason.